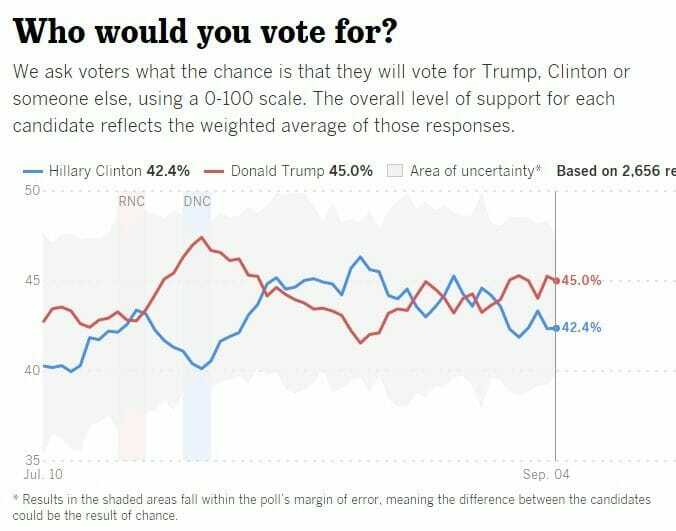 Despite the ceaseless attacks by the liberal media including FOX News elites, Donald Trump maintains a 3 point lead over Hillary Clinton in the latest USC-Dornsife LA Times poll. This follows the latest revelations of more Clinton corruption and lies. 'CAN'T RECALL' AFTER HER FALL!